Kenya National Bureau of Statistics hereby releases Consumer Price Indices (CPI) and inflation rates for April, 2015. These numbers have been generated using data collected during the second and third weeks of the month under review. The prices were obtained from selected retail outlets in 25 data collection zones located in 13 urban centers. The CPI increased by 1.82 per cent from 155.86 in March 2015 to 158.70 in April 2015. The overall inflation rate stood at 7.08 per cent in April 2015. The Constitution of Kenya, 2010 defi nes statistics as a shared function between the National Government and County Governments. Accordingly, the Fourth Schedule identifi es national statistics and data on population, the economy and society, as a primary function of National Government. Subsequently, the County Governments are mandated to carry out county planning and development including statistics in their respective counties. This constitutional provision provides Kenya National Bureau of Statistics (KNBS) an extensive opportunity to develop statistics, coordinate, oversee and set standards for offi cial statistics at both national and county levels. As the principal agency of offi cial statistics, KNBS is therefore mandated to collect, compile, analyze, publish and disseminate statistical information. In addition, the Bureau is mandated to coordinate, monitor and supervise the National Statistical System (NSS). agriculture, rural income, food security, manufacturing and diversified exports among many other indicators that form priorities of the Government development agenda. 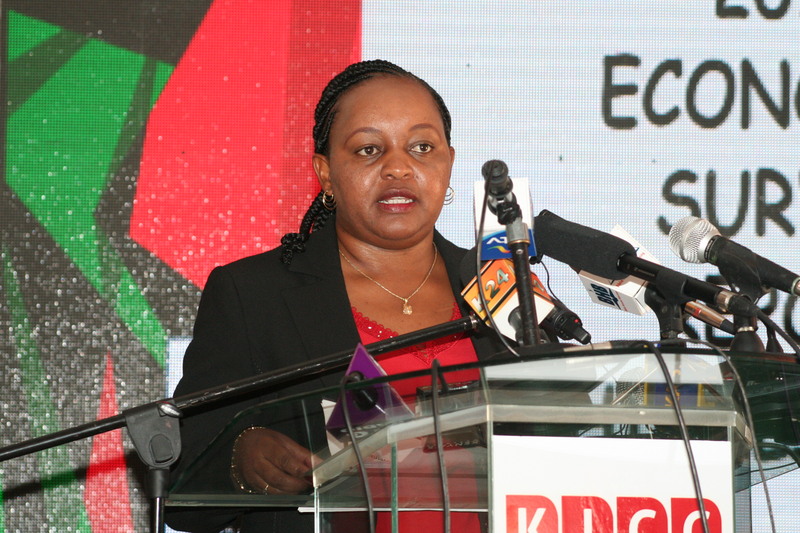 KNBS is therefore expected to play a critical role in enabling the Government to achieve its medium and long term development plans through provision of statistical information for evidence-based policy decision making, assessment of development investments through measurable results and to guide resource allocation to the devolved units under the current constitutional dispensation. Towards this endeavour, KNBS has identified through this program the following broad objectives: – Address data gaps, Improve the quality of statistical information, Mainstream statistics in Ministries, Departments and Agencies (MDAs) and, County Governments, Communicate, disseminate and access statistics to users, Strengthen human and physical capital and Reform KNBS to a competitive modern statistics organization. This is the third Strategic Plan in the history of strategic planning at KNBS. It comes at a very critical time of corporate growth when KNBS is more concerned in developing statistics through creating and appropriating more value, innovation and maintaining success and exploiting its competitive advantage. This stage of corporate growth requires reframing of the Bureau to provide for the structural frame that organizes it into effective and efficient groups and teams necessary for delivering the desired results in statistics development. It also calls for strengthening of human capital frameworks to enable development of people and organization capable of competently surviving future challenges. Subsequently, the plan will review the symbolic structure where the organization culture and symbols will be changed, revitalized, and efforts put towards developing a new culture and values necessary to spur the desired growth and change. This strategy is also about integrating frames for effective leadership, change, ethics and spirit that will seek to improve leadership practices at the Bureau. Finally, statistical services and products are not immune to “mean time before failure” and are susceptible to expiry if constant review of performance and customer delivery preferences through innovation, research and development are not continuously integrated in the organization strategy. This plan provides a framework for ensuring that statistical services and products continue to be relevant by ensuring rarity, inimitability and non-substitutability. The country’s Gross Domestic Product (GDP) is estimated to have expanded by 5.3 per cent in 2014, compared to a growth of 5.7 per cent in 2013.
increase in exports of goods and services. 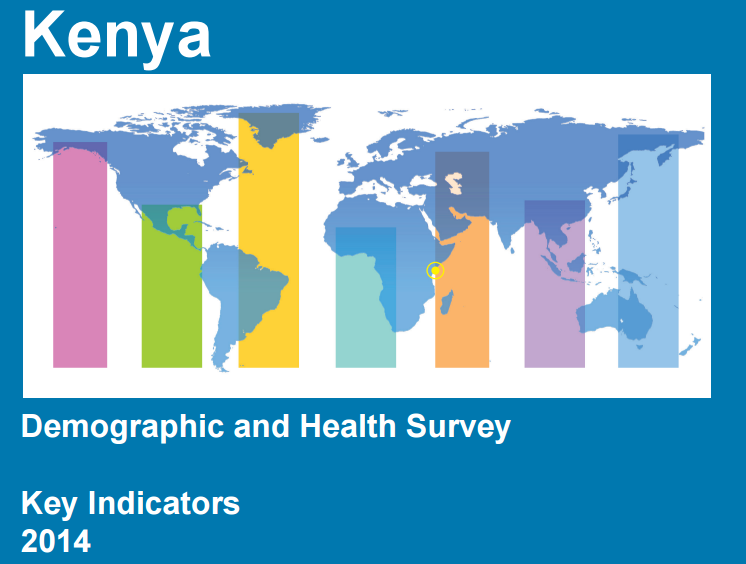 The 2014 KDHS was designed to provide information to monitor and evaluate population and health status in Kenya and to be a follow-up to the previous KDHS surveys. In addition, it provides new information on indicators previously not collected in KDHS surveys, such as fistula and men’s experience of domestic violence. The survey also aims to provide estimates for selected demographic and health indicators at the county level. The survey addresses the planning, programme implementation, monitoring, and evaluation needs of health, family planning, and HIV/AIDS programmes. It provides programme managers and policy makers involved in these programmes with the information that they need to effectively plan and implement future interventions.